That leftover chicken in your fridge? Do something amazing with it. I could make a big batch of pimiento cheese and fruit salad on Sunday and eat pimiento cheese sandwiches and fruit for lunch every day. I don’t find that delicious food becomes less delicious after I’ve had one serving of it. But my family isn’t crazy about repetition, and unfortunately that goes for leftovers as well. 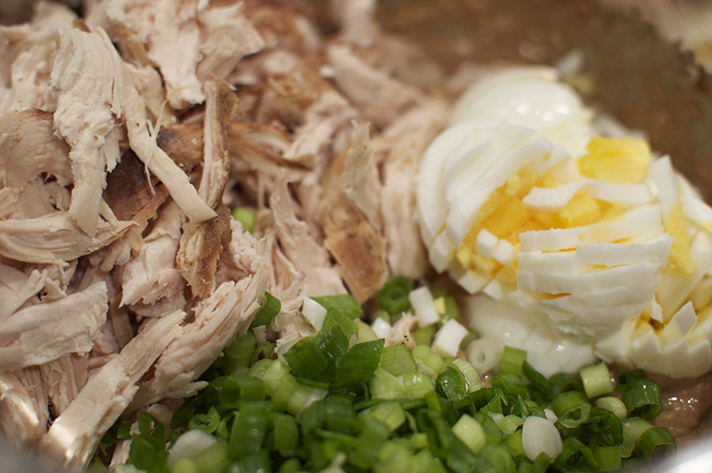 Luckily, I don’t mind reinventing leftovers as star players in the next day’s lunch. 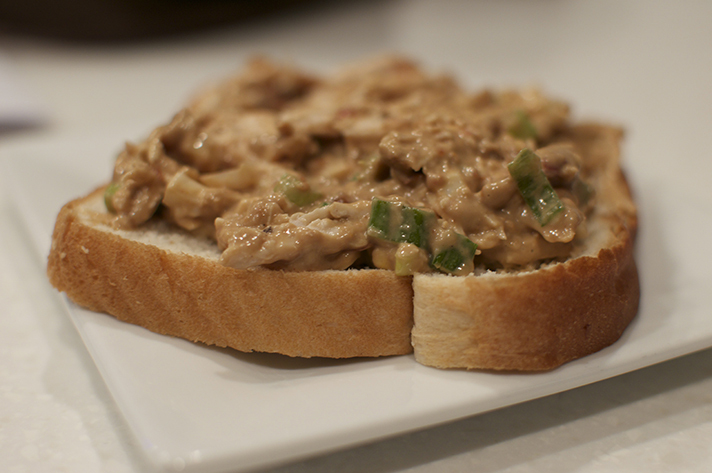 Chicken salad (especially this version with smoked chicken) is a favorite with the adults. I’m convinced the kids will come around at some point, but for now, they get a smoked chicken and cheddar grilled cheese sammie instead. 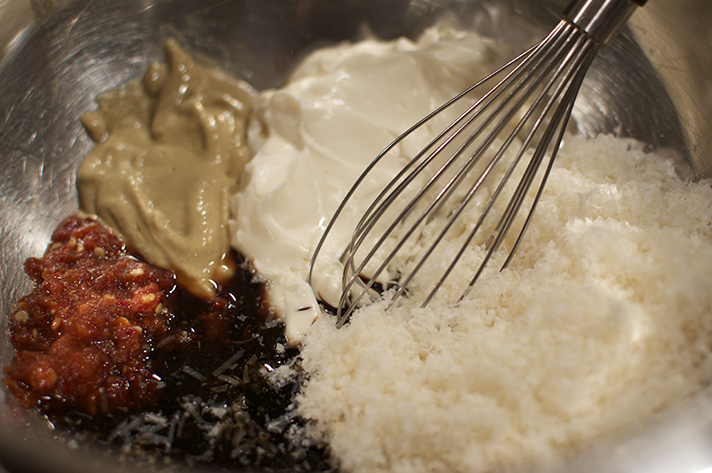 Stir in next 3 ingredients. (If you have smoked chicken on hand, use that. If not, plain ole roasted chicken or rotisserie chicken will do just fine.) Taste for seasoning, then add salt and pepper as desired. This is great as a sandwich, but it works well in a tortilla wrap, in a lettuce wrap, stuffed into a pita, or even as a dip with hefty crackers. Enjoy! 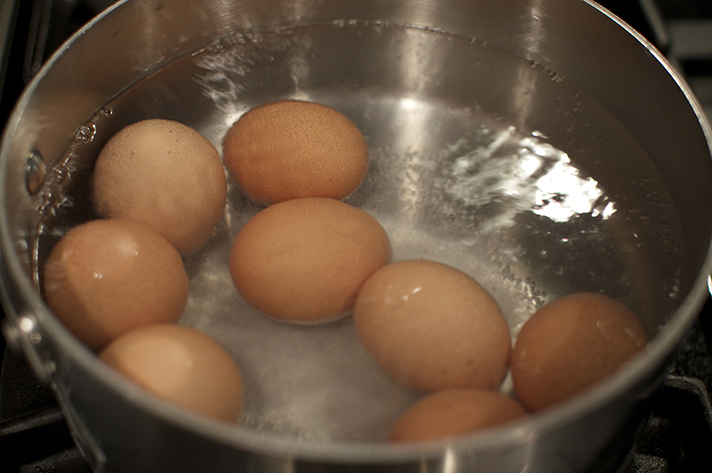 In a medium saucepan, cover old cold eggs with cold water by about an inch and add plenty of salt. (Old eggs are easier to peel. Using lots of salt in the boiling water makes them easier to peel.) Bring to a boil, cover, turn off heat and set aside for 12 minutes. Pour off hot water, then cool under a trickle of cold water for 5 minutes. 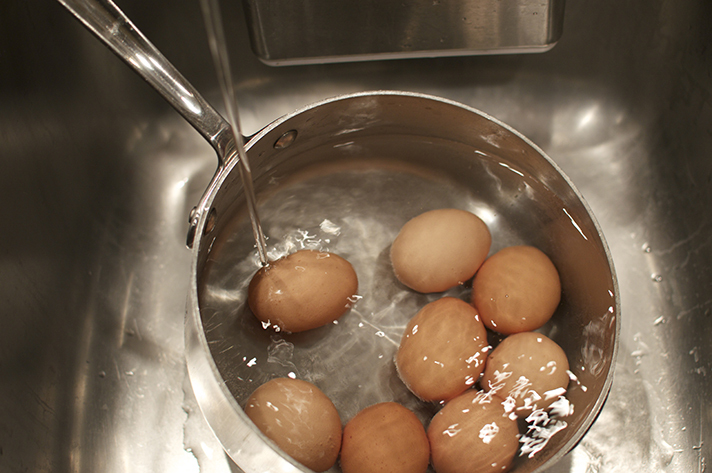 Crack and peel, holding the eggs under water and using a spoon to free the egg from the shell when necessary. **Feel free to use other allium family members here, such as thinly sliced red or Vidalia onions, chives or even chive blossoms when in season.